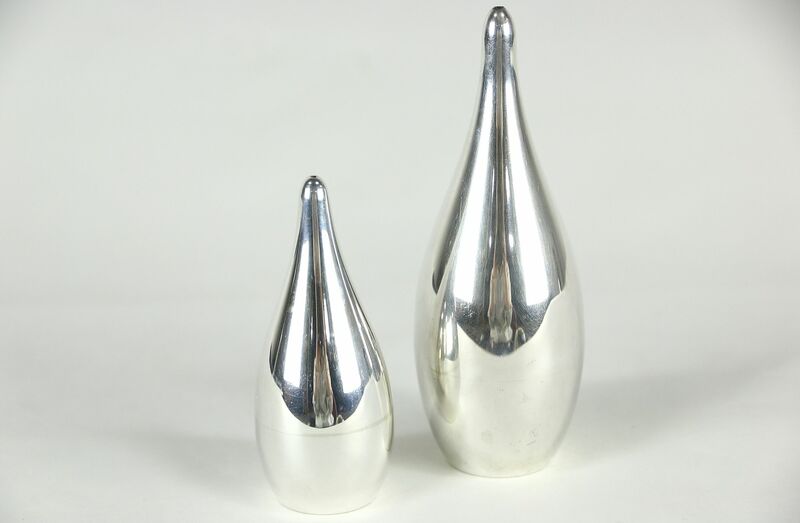 Signed "Allan Adler Sterling," a pair of Midcentury Modern salt and pepper shakers dates from about 1960. Size is 4 3/4" and 3 1/2" tall. Adler, who died at 86 in 2002, made pieces for celebrities from President Kennedy to Errol Flynn and Michael Jackson. See 5 photos on Harp Gallery website that enlarge to full screen size.